The Swift Boat Veterans for Truth story still has legs, and it looks like it is hurting Kerry's Presidential ambitions. But I think the way Kerry has handled the controversy has hurt his campaign. 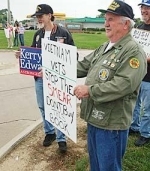 Kerry's campaign and supporters have gone into overdrive attacking the Swift Boat Vets. I've seen several letters to the editor in my local paper complaining about the SBVFT's campaign. The problem (for Kerry, that is) is the more Kerry supporters react to it, the more it gets free media coverage. Veterans Tim Ashley Sr. of Cuyahoga Falls; Jimmy Young and his wife, Gail; and Walt McDonald, all of Akron, stood at the edge of the parking lot and greeted the arriving Corsi fans with protest signs, one of which read "Vietnam Vets -- Stop the SMEAR! Don't buy this book!" By making an issue out of it and calling on President Bush to denounce the ads, Kerry encouraged more coverage of the story, both from the mainstream media and from conservative media. The SBVFT have sucessfully thrown the Kerry campaign a red herring. While the Kerry campaign has tried to focus on what Kerry's agenda would be if he is elected and on criticisms of President Bush, the time they have spent countering the SBVFT has distracted from the message the campaign wants to send. 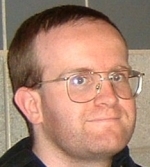 In my opinion, Kerry would have been better served to ignore the SBVFT. The Kerry campaign continuing to put the story in the spotlight has given the SBVFT millions of dollars in free advertising. Any expert on politics will tell you that the more "free media" you can get to spread your message, the better.